What is the best carpet? 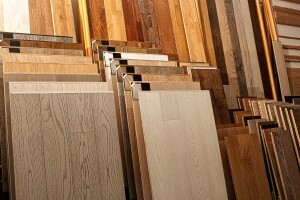 .. the best laminate…the best hardwood? …the best tile? The question is put to me or my staff almost on a daily basis. The answer is pretty much the same for all the different flooring options. My opinion is that there is no best. Only a best choice for a particular application. Carpet as well as all the other flooring available are offered for both residential and commercial applications. Your budget plays a big part in what product you choose. A carpet, laminate floor, hardwood floor, or vinyl tile floor can be found to fit just about any budget that will offer years of serviceability. Design choices and color schemes are somewhat limited in the lower price points, but good matches for your lifestyle are available nevertheless. No matter what price range you are considering for carpet, you should never compromise the quality of the underlayment (padding). A good padding will make even the least costly carpet perform to its maximum ability. Thicker is not better, whether it’s carpet or padding! Face weight typically has no bearing on durability. It is the density factor that is most important. No carpet padding should be used over 1/2″ thick and 7/16″ is the desired thickness recommended but most all carpet manufacturers and the Carpet and Rug Institute. For loop pile carpets (berber loop and multi-purpose loops) 3/8″ and less is recommended. Minimum density of recommended pads should be no less than 6lbs and 8lbs for loop pile. Shag or thick saxony plushes are not good choices for high traffic areas such as hallways, stairs and family rooms. For these areas a low profile, high density carpet is advised with the good low profile high density carpet padding. For bedrooms these carpets work well. Some of the more expensive ultra shags are better suited for area rugs. Berber loop and low profile cut and loop hybrids work well for all areas of your home. Commercial carpets are made for moderate to heavy traffic. Most are extremely low profile from 1/4″ to 3/8″ thick with high density factors. Loop piles are typically installed with adhesive to prevent movement underneath. While low profile cut piles are generally installed over a carpet padding with density factors of 8-14 lbs. These are general requirements for general commercial use. Carpets are usually specified for the type and amount of anticipated foot traffic. 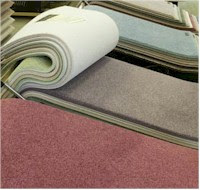 Carpet tiles are suited for just about all commercial use and are available in many different patterns and colorways. You can get more detailed information by visiting the Carpet and Rug Institute. Part 2 will cover laminate floors. Click here for reviews of the many flooring products available at American Carpet Wholesalers or Click here to explore many styles of flooring. Bamboo Hardwoods offer the durability and great looks of exotic hardwood but are constructed with sustainable bamboo.